Brown Brothers is one of the most established Australian wineries in the UK, having made its mark in the early days of the Australian wine revolution. Founded back in 1885, the company has a fascinating history, and has carved an important place within the scope of the Australian wine phenomenon. With vineyards and wineries across all major wine producing regions of Australia, Brown Brothers is maybe most famous for having the largest selection of grape varieties planted, of any of the Australian producers. True pioneers in the development of the less classic grape varieties grown in Australia, Brown Brothers have a unique and lasting heritage in the development of the Australian wine industry. 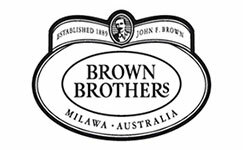 Brown Brothers was founded in 1889 by John Francis Brown, who inherited the land from his grandfather, in Milawa, Victoria, and, with no formal training, but raw ambition, decided to plant 10 hectares of vines, producing his first wines from a shed on the land. A true pioneer, he grew the business throughout the next decade, buying more land and overcoming the economic difficulties of the time through his persistence and vision. He built the first Brown brothers winery in 1898, and until 1916, made his money very successfully through the production and sales of predominantly sweet, and fortified wines. Following the phylloxera scurge in 1916, he determinedly uprooted and replanted, against the advice of many, and it was at this time, that the first real experimentation with unusual grape varieties began. The pioneering spirit continued via his son, John, who in 1934 began exporting the wines; a true innovator, he tested the boundaries of wine production in those years, and was responsible, not only for introducing the use of refrigeration for the fermentation of white wines, but also the development of Noble Rot Rieslings in 1962. Hailed as the ‘Father of the Victorian Wine Industry’, like his father, he continued to push the boundaries. 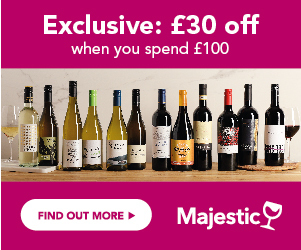 Today, the success of this family run company, within a very tough environment, is due to the focus of the 4 sons of John Charles, who all took differing roles within the business, both in the vineyards, and on the commercial side, and have made the business the success that it is today. Back in the mid 20th century, they set up an unheard of ‘kindergarten’ winery, a place to nurture new varietals. It is relevant that some of the most noteworthy and memorable Brown Brothers wines, are the highly distinctive, but little known ones – the fruity, juicy Tarrango, a dry Muscat, and a sweet orange Muscat. Today the company is still run by the 3rd and 4th generation of the family, and whilst the vineyard holdings have extended to a considerable degree, in both Victoria and also Tasmania, the key focus has been on the maintenance of tradition and quality, and to continue to be pioneers in terms of emerging grape varieties across the international market. In 1989, their centenary year, they set up the ‘Kindergarten’ winery, where they continue to experiment with grape varieties not seen before in Australia. What Styles Of Wine Do Brown Brothers Make? Brown Brothers first made their name in the UK with some varietal wines, not often seen from Australia, and were at one point best known for their deliciously sweet, yet refreshing dessert wine, Orange Muscat, which is still going strong. In recent years, the company launched a range of premium wines, called ‘Patricia’ in memory and recognition of the wife of John Charles. The white wine range comprises a zesty Sauvignon Blanc, a peachily soft Pinot Grigio, and a smooth, tropically fruity Chardonnay. Brown Brothers have also added an intensely fruity Chenin Blanc to the range, and picking up on the ‘Moscato’ craze, also have one of these fruity, sweet, refreshing whites in the range. Whilst the standard red range includes the normal stalwarts, Shiraz, Cabernet Sauvignon and Merlot, Brown Brothers are arguably best known for their deliciously light, fruity and unusual red wine, which has been in the UK for at least 10 years, and now has an almost cult following – Brown Brothers Tarrango; this is a light, juicy, red berry scented wine, which veers more towards Pinot Noir and Gamay in style, and should be drunk chilled. The Spanish Tempranillo grape, and the elegant, and aromatic Italian Dolcetto are also the subject of 2 other red varietal wines. Brown Brothers Orange Muscat and Flora is a delightfully light dessert wine – far more delicate and refreshing than most. With a delicate, orange peel, and citrus aroma, and honeyed overtones, it is sold in half bottles. A fresh, crisp, fruity dry blend from the classic Champagne grape varieties, and also a sweet, fruity, lively Moscato.